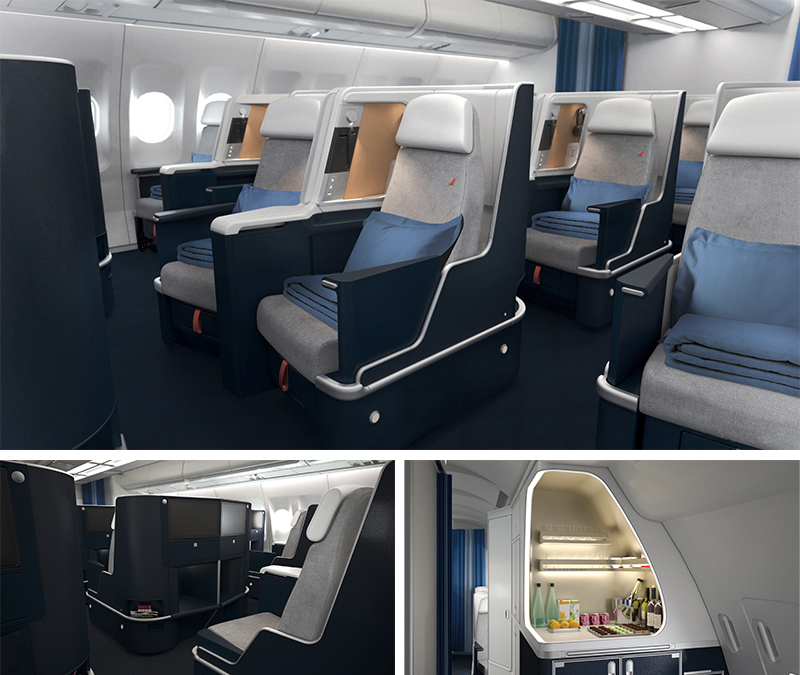 At IFTM Top Resa, Air France is today presenting its new Economy and Premium Economy cabins, highlighting its offer of a new travel experience on board its 15 Airbus A330s which will be refitted as from January 2019. 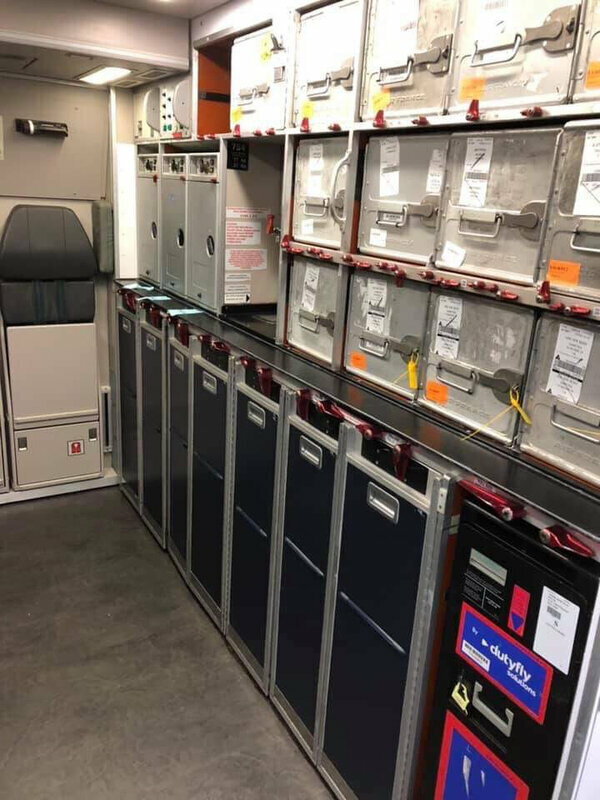 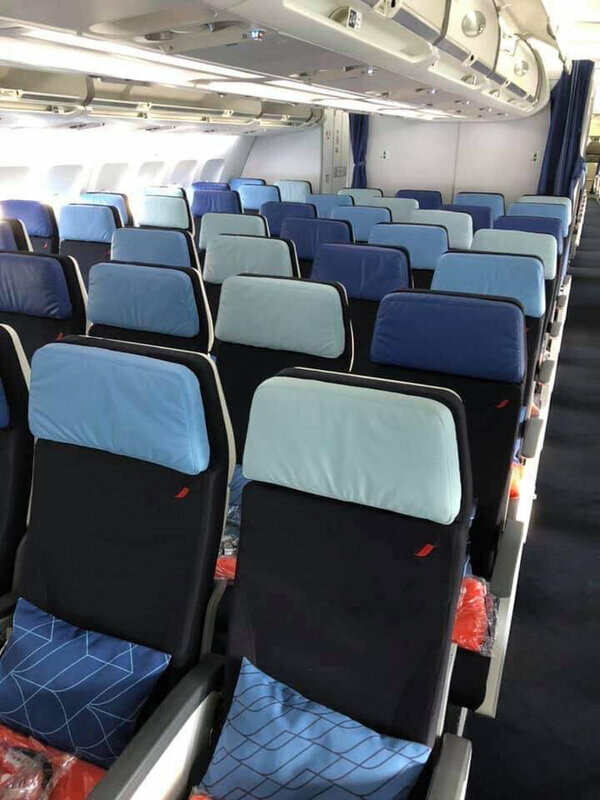 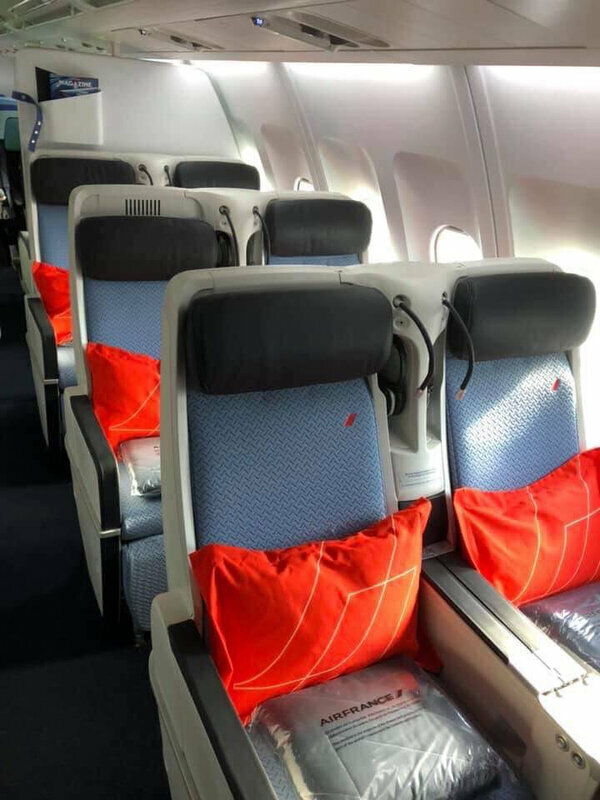 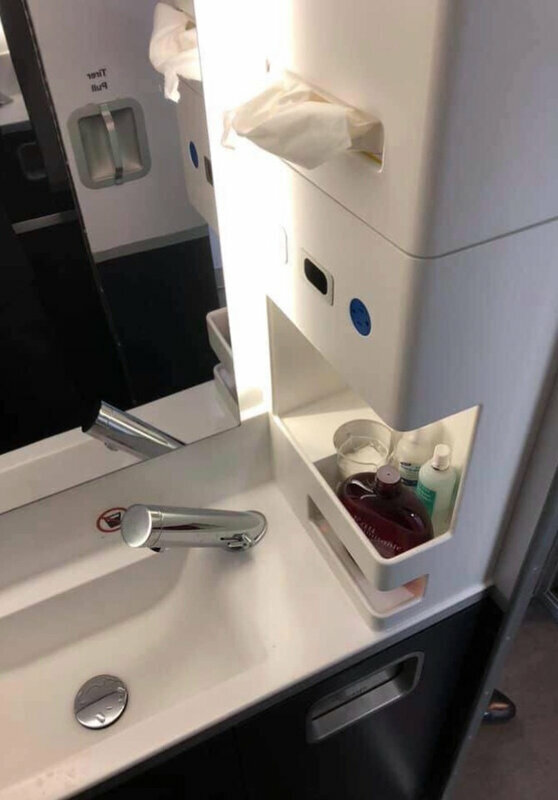 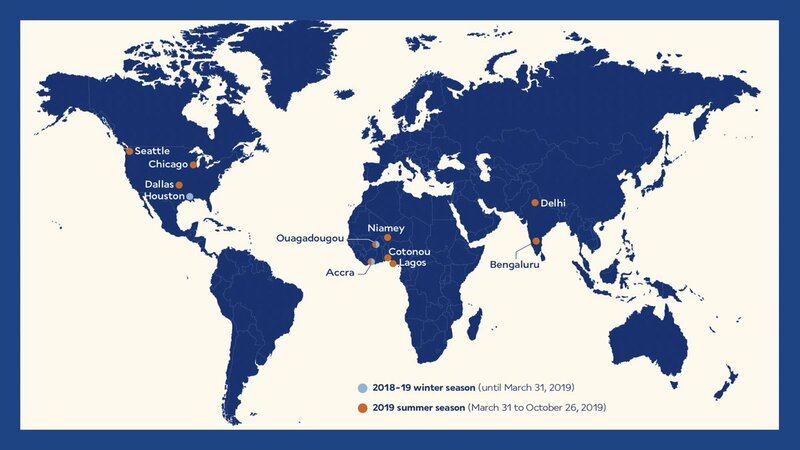 In addition, customers will progressively discover a new colour scheme and additional products and services to improve the travel experience on all the airline's long-haul flights. 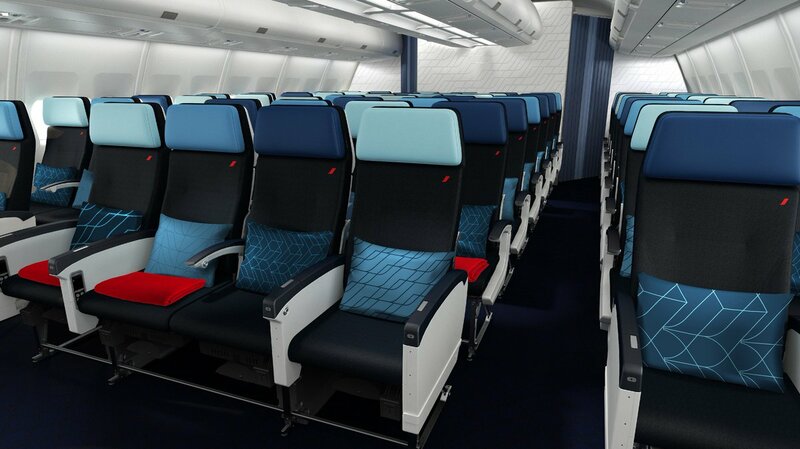 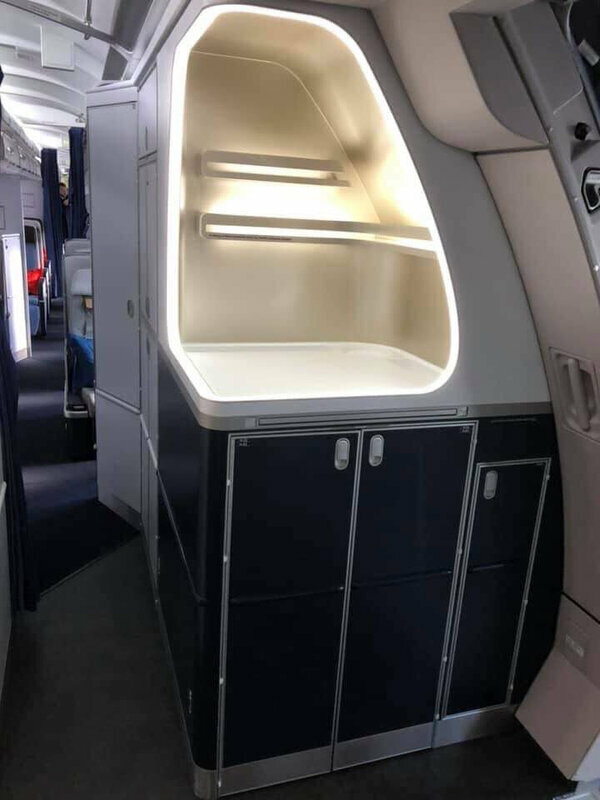 These new cabins, and more widely the new Economy and Premium Economy offer, will also be on display at the BHV Marais* in Paris from September 26 to October 3. 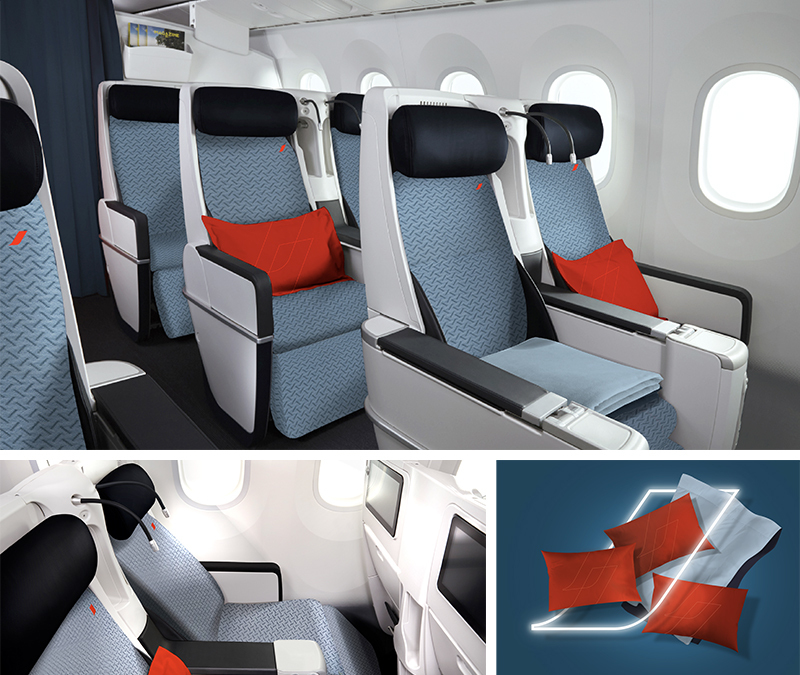 “Today we are celebrating the arrival of our new products and services in our Economy and Premium Economy long-haul cabins, for an even more comfortable and relaxing travel experience. 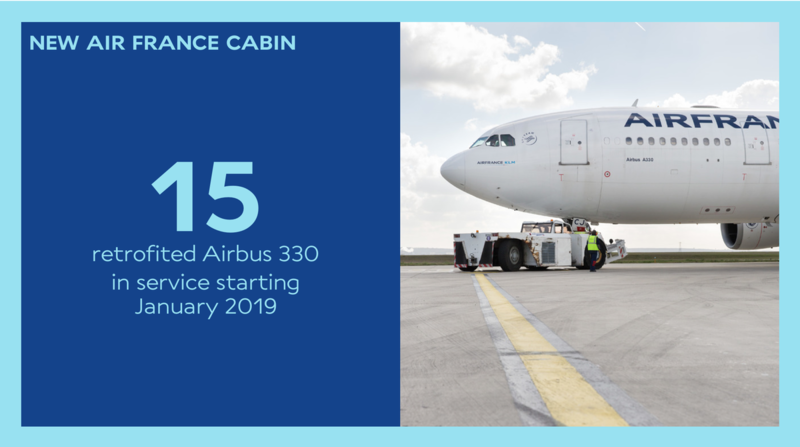 With a further investment of 150 million euros in the cabins of our A330s, this is a major step in our overall strategy to move upmarket, a strategy that has been underway since 2014 and which will result in our 15 Airbus A330s being equipped as from 2019." 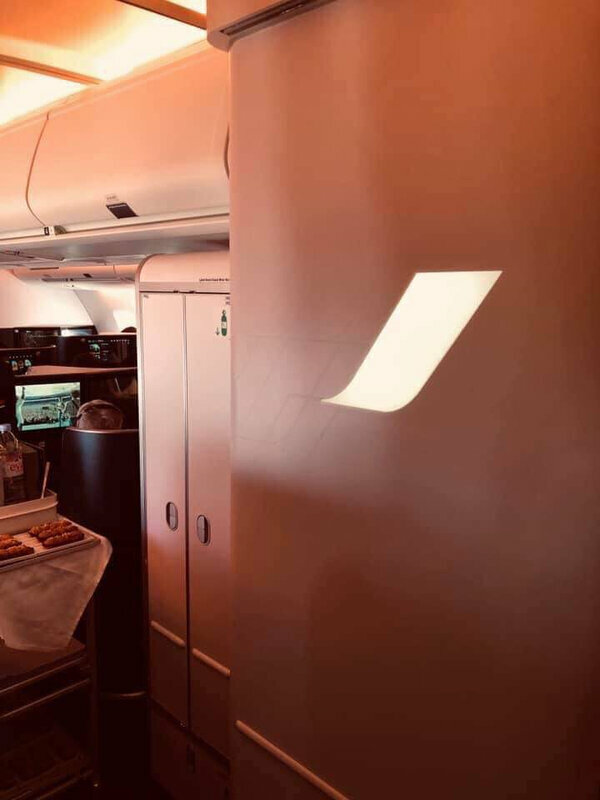 said Anne Rigail, EVP Customer at Air France. 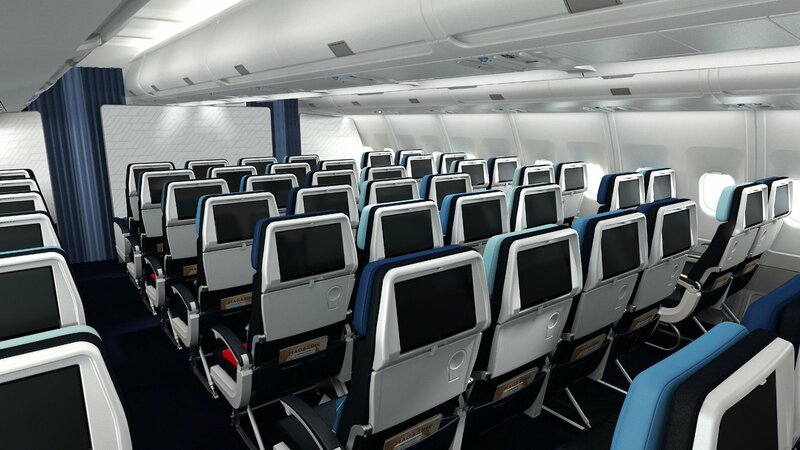 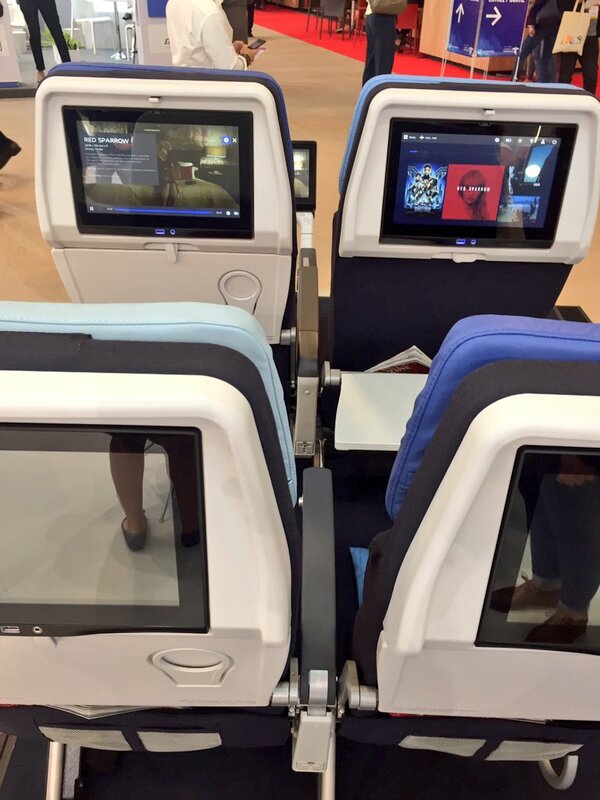 - a larger tray table and a wider, latest generation 11.7-inch (29.8 cm) 16:9 touch screen. 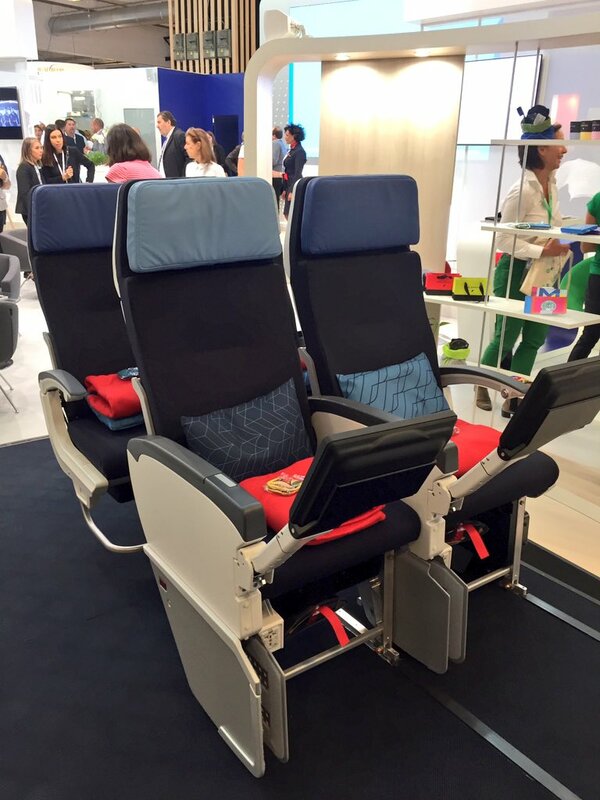 For an even more comfortable trip, a new design and new accessories are being introduced. 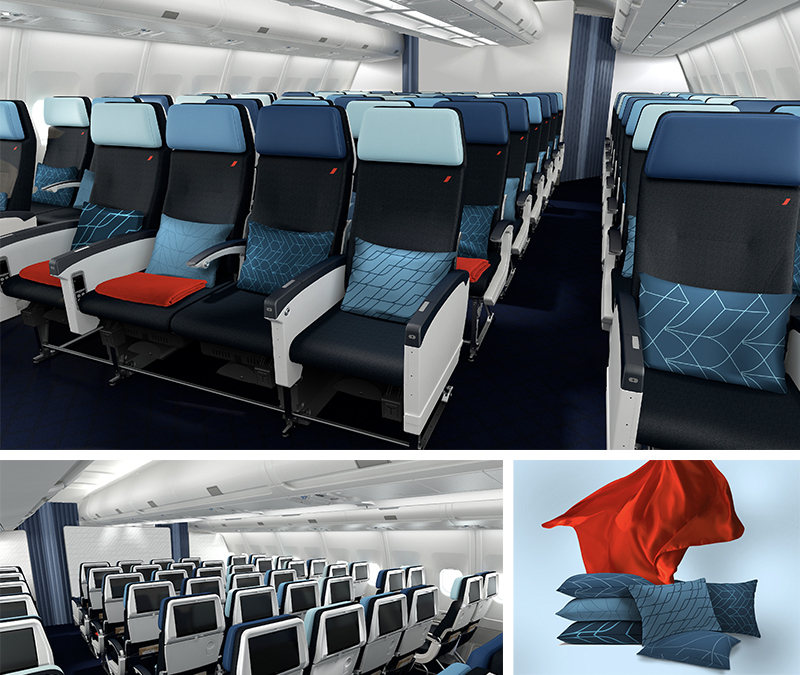 A deep blue monochrome fabric signed with the accent, the symbol of the Air France brand, adorns the new cabin cushions and headrests. 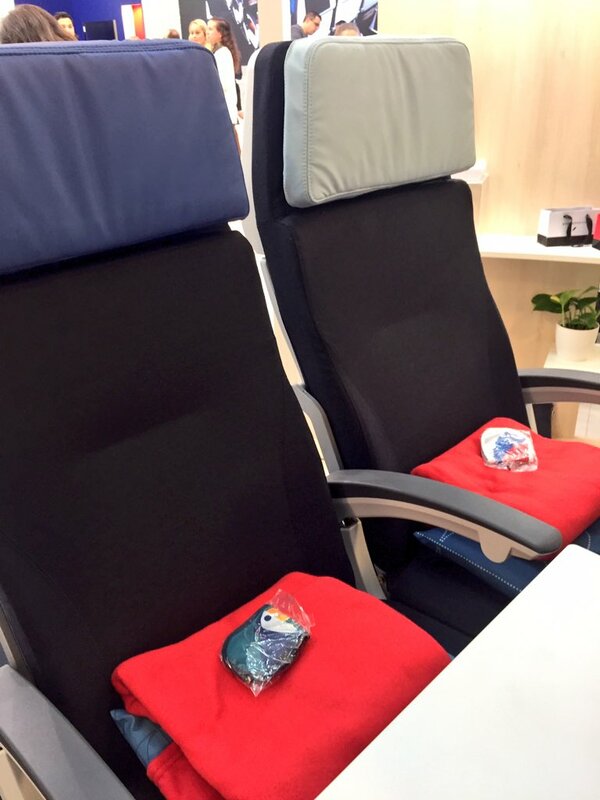 To accompany your most perfect dreams, a new bright red blanket, the company's iconic colour, as well as collectible night masks, inspired by the company's destinations, are also available. 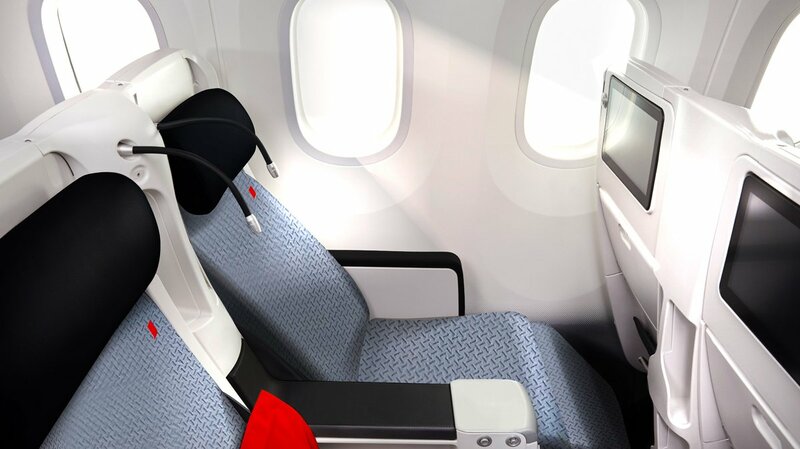 The Economy seat allows you to use your electronic devices throughout the flight with a USB plug and an individual electric socket. 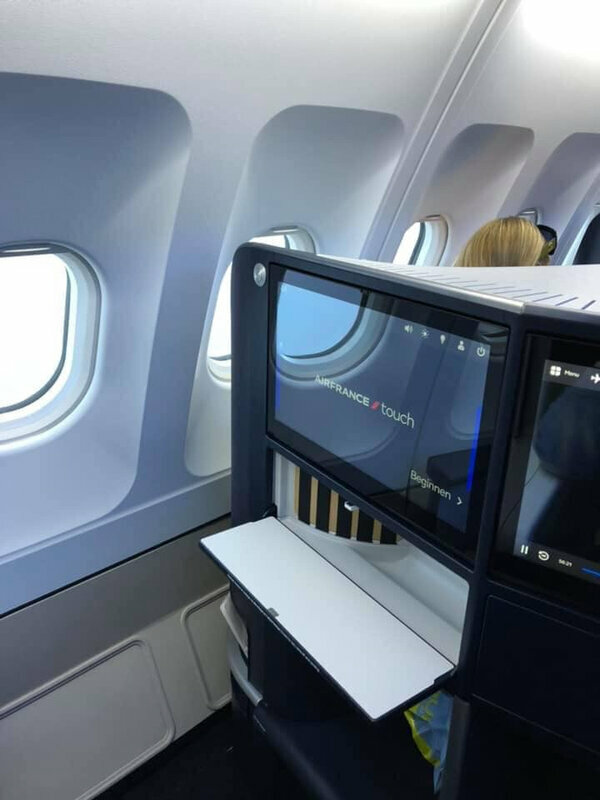 Finally, customers can stay connected with Wi-Fi throughout their flight, which is being progressively installed on all Air France aircraft, and enjoy a wide range of entertainment with an audio headset available on each seat as soon as they settle in on board. 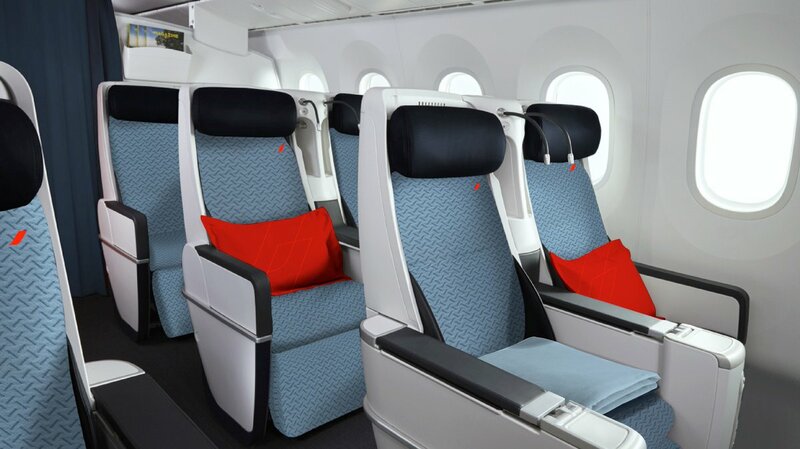 In the Premium Economy cabin, privacy and elegance prevail. 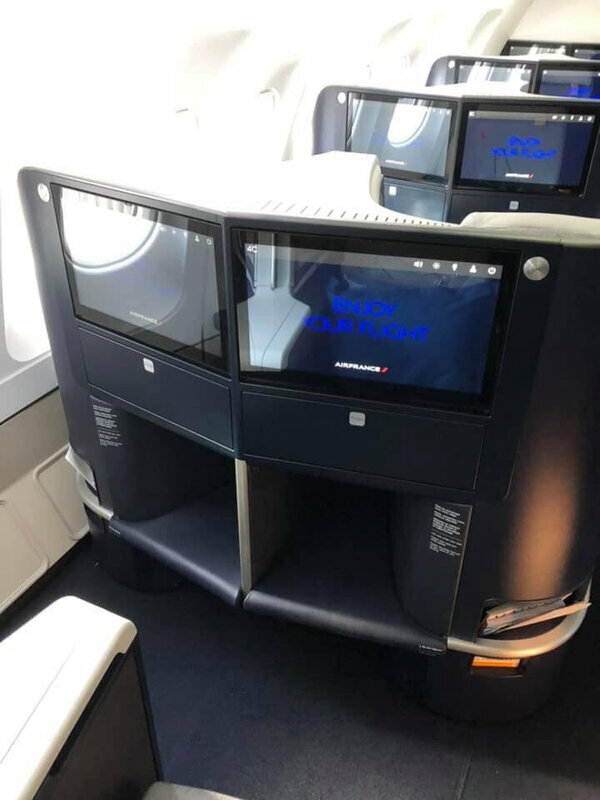 - A latest-generation 13.3 inch (33.9 cm) HD screen. 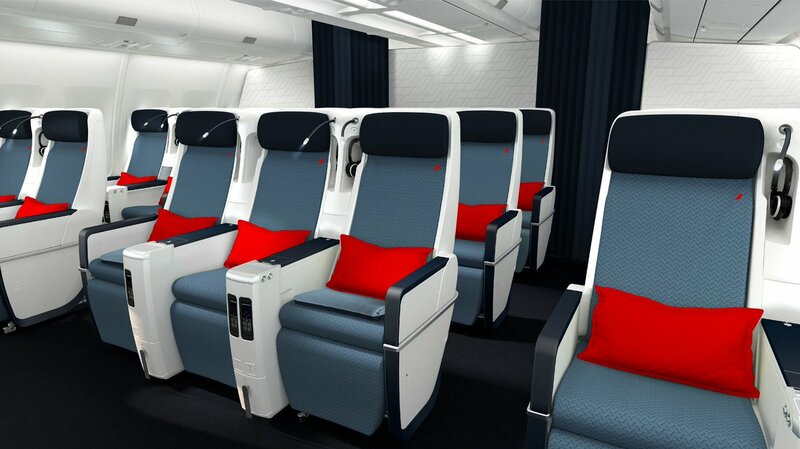 On board all its long-haul aircraft, Air France also guarantees its customers moments of relaxation with a red feather pillow and a deep blue blanket. 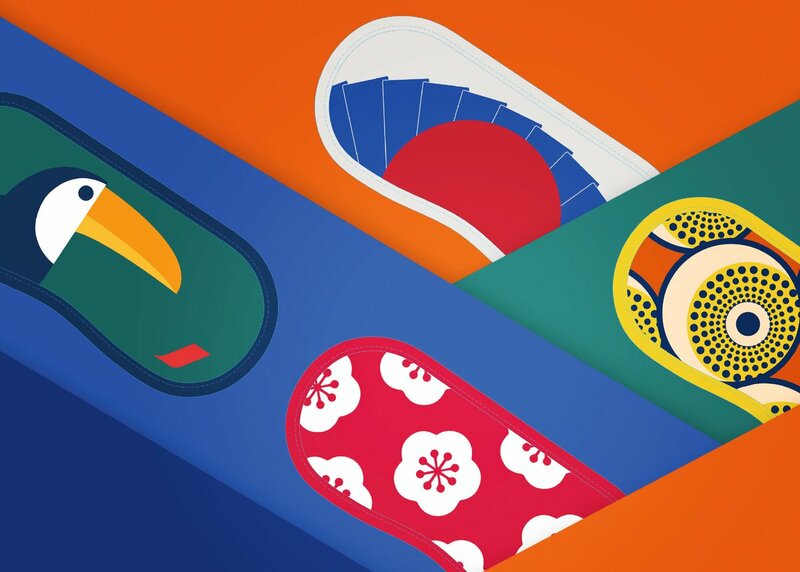 A comfort kit renewed every 6 months is also available. 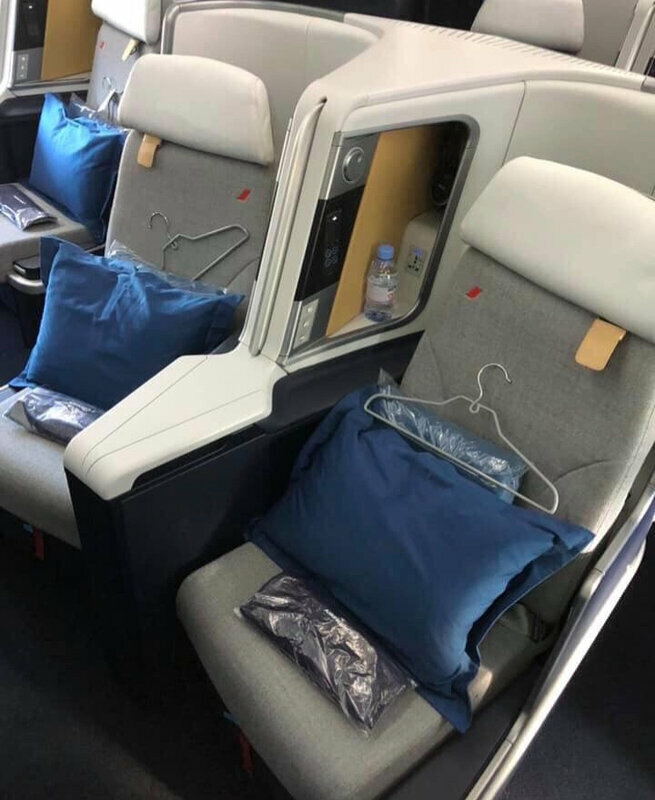 Between relaxation and gourmet delights, each customer can enjoy Wi-Fi on board, an electric socket and two individual USB ports as well as a wide choice of entertainment. 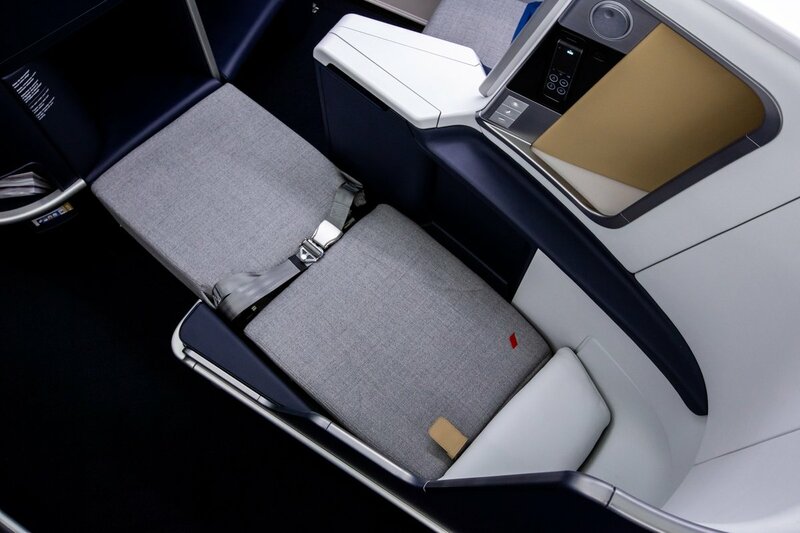 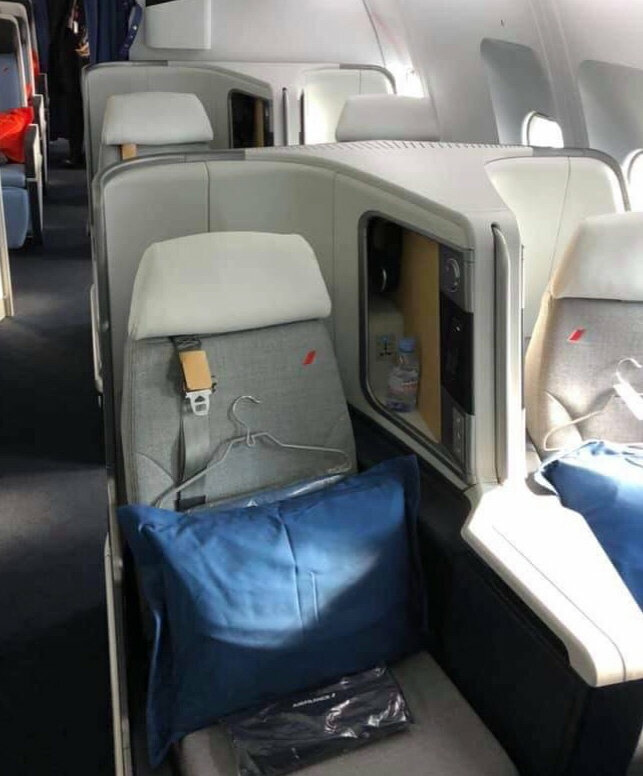 In addition to new seats and a new Economy and Premium Economy colour scheme, Air France is providing its customers with even more special attentions. 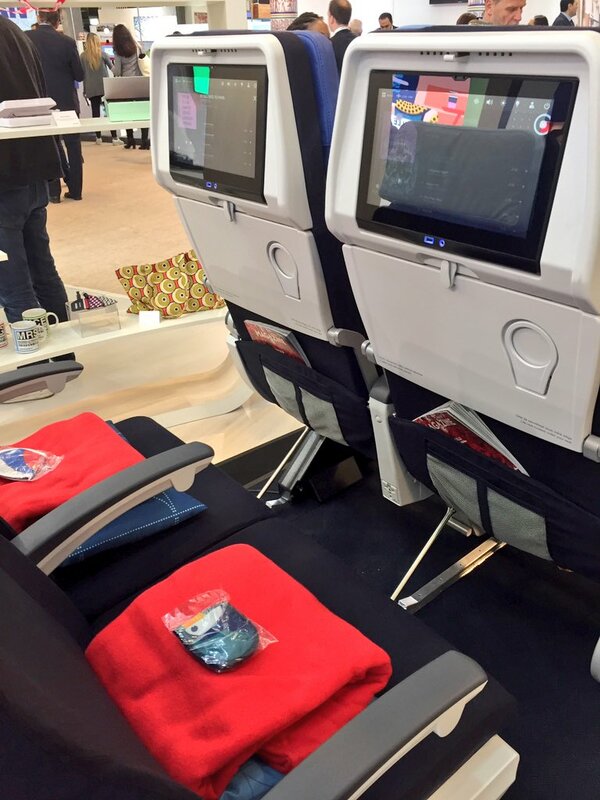 As soon as they arrive on board, customers are welcomed with an oshibori** to freshen up. 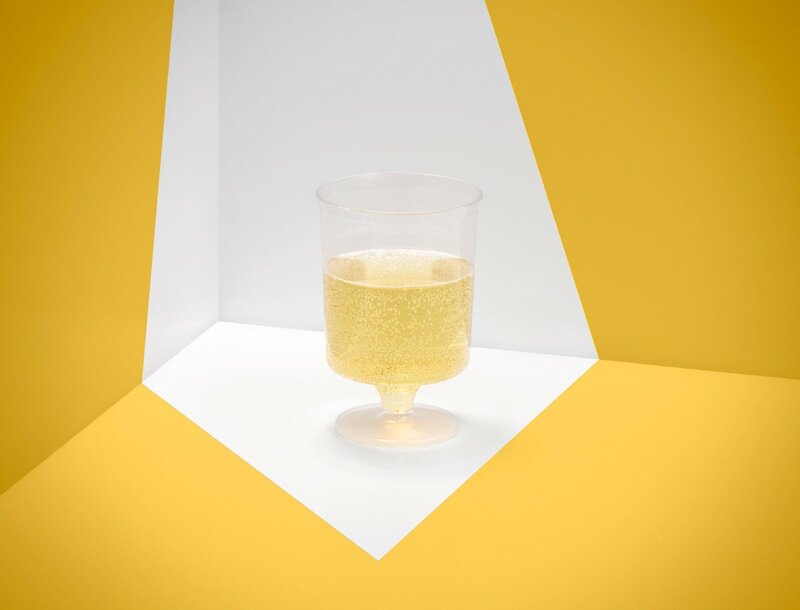 At aperitif time, the cabin crew offer customers a complimentary glass of champagne in a brand new glass. 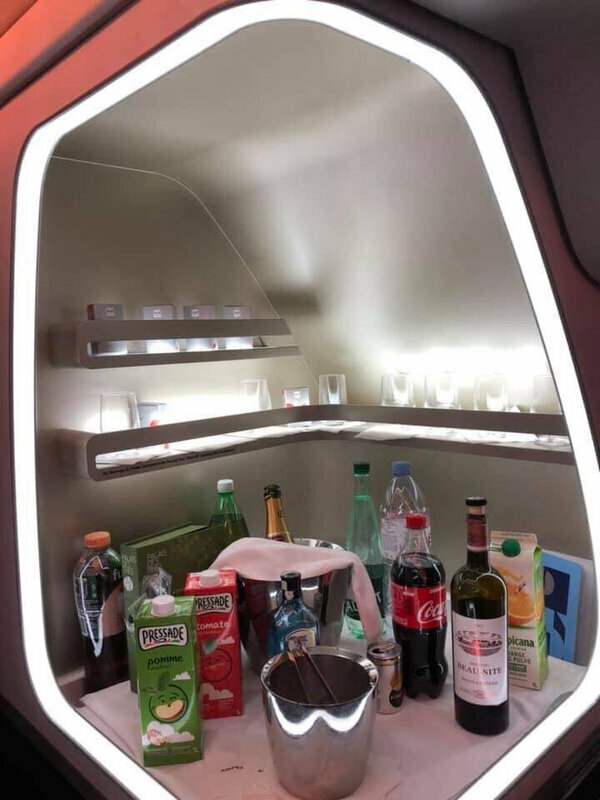 During the flight, the meal is served in a new collection of powder-coloured tableware on a black background and eco-designed in collaboration with Eugeni Quitllet. 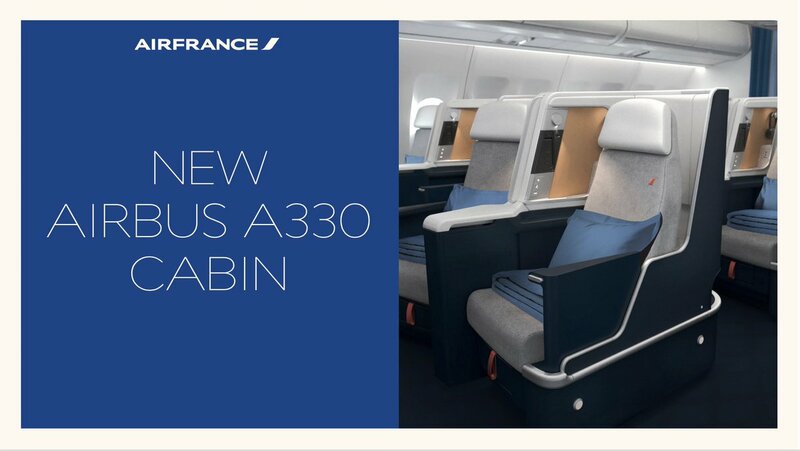 The tray also reveals a new design highlighting the Air France accent. 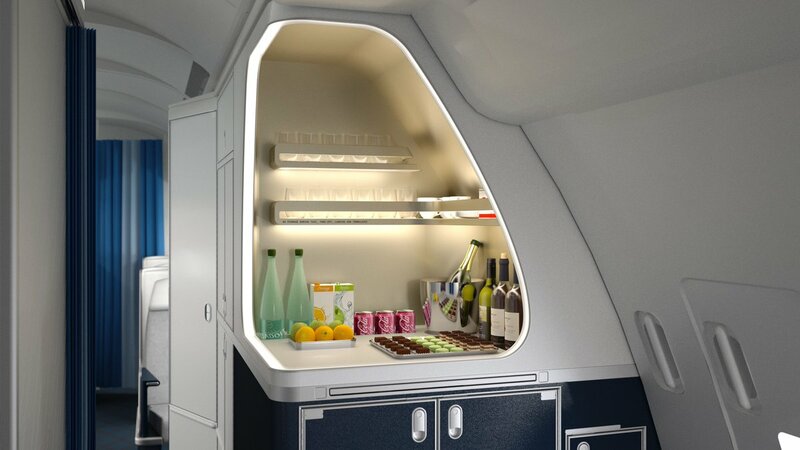 A "My Little Gourmandises" gourmet snack is available on a self-service basis on flights longer than 8 hours 30 minutes. 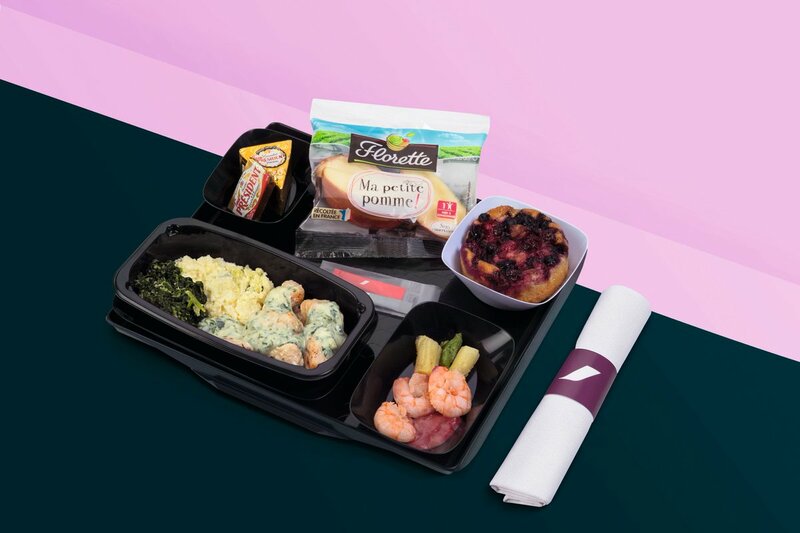 On flights lasting between 8 hours 30 minutes and 10 hours 30 minutes, customers are offered a "Bon Appétit" breakfast bag containing delicious snacks to take with them or to eat on board. 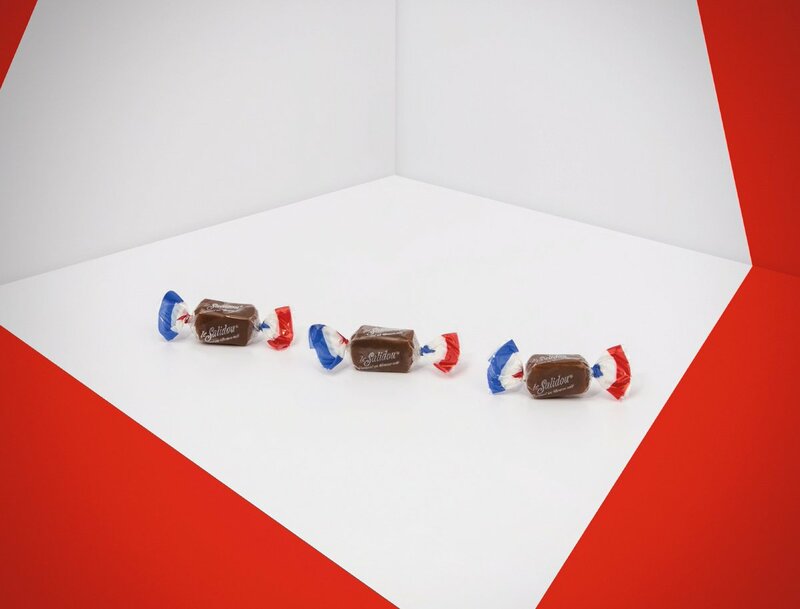 On arrival, customers receive a French-style candy, as a little gesture to say thank you for travelling with us. 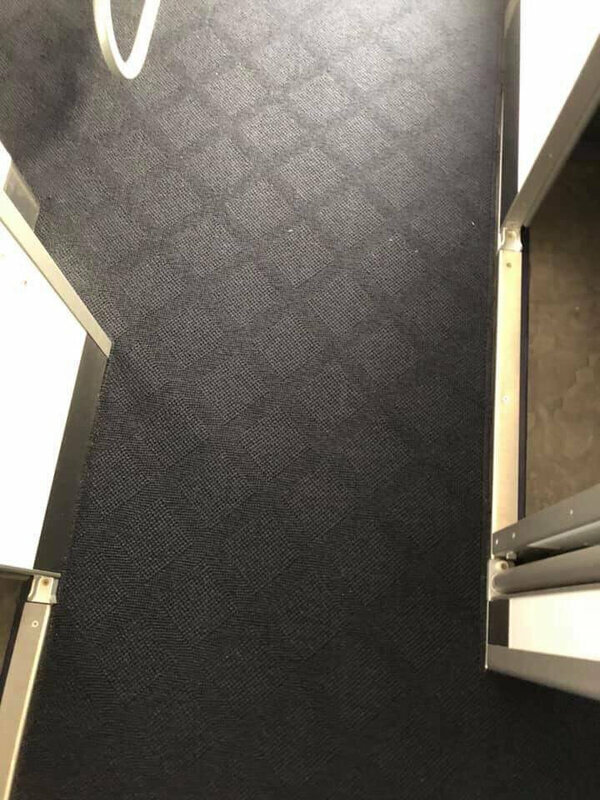 Edited by TheJoker, 25 de September de 2018 - 10:25 . 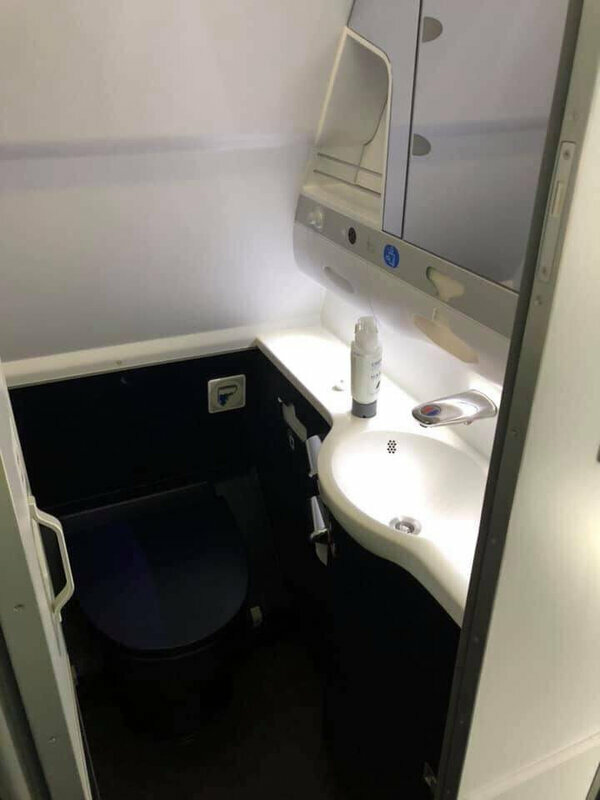 E finamente a nova J.
Edited by TheJoker, 04 de February de 2019 - 11:48 . 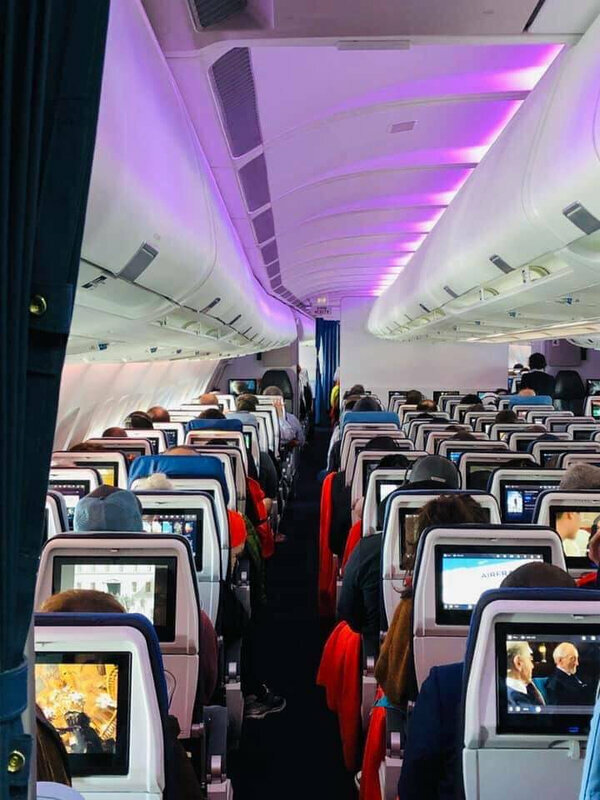 This allows customers to send and receive messages free of charge from their favourite apps on their smartphone or tablet throughout the flight. 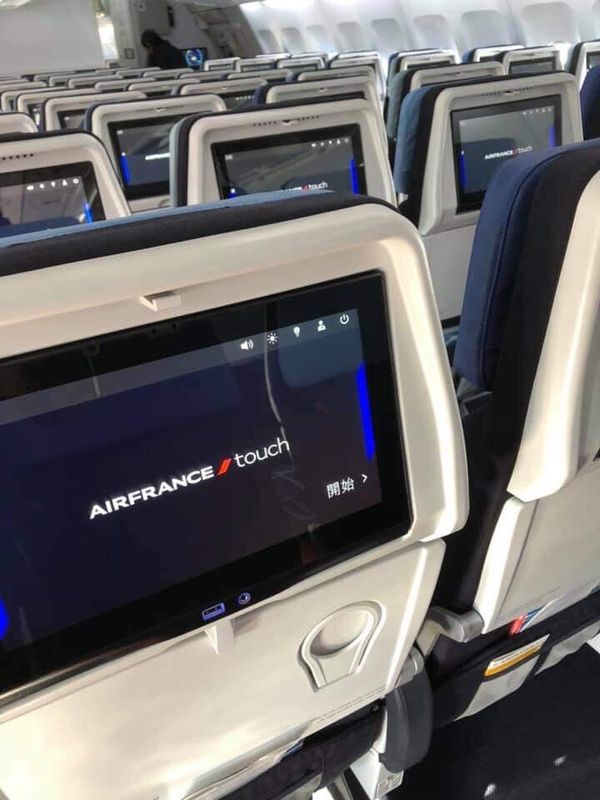 Customers can also access the airfrance.comwebsite and the Air France app to consult or modify their reservations. 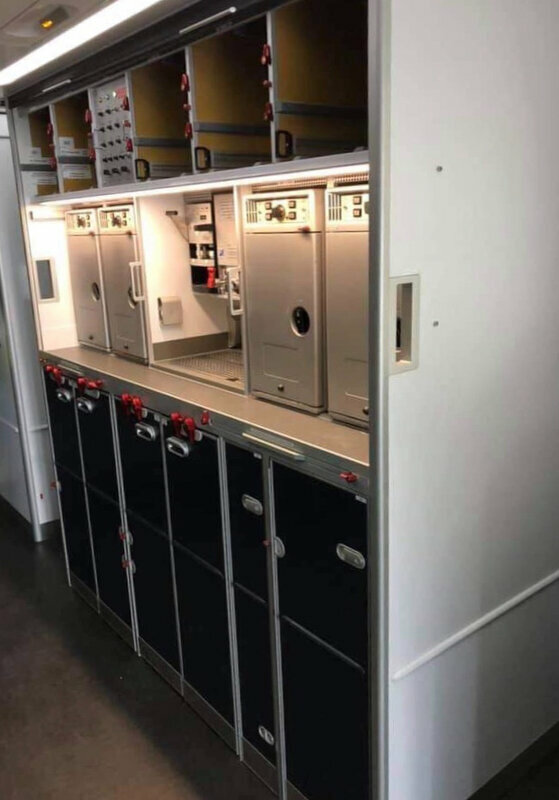 Quero só ver se no retrofit A380 será assim também.